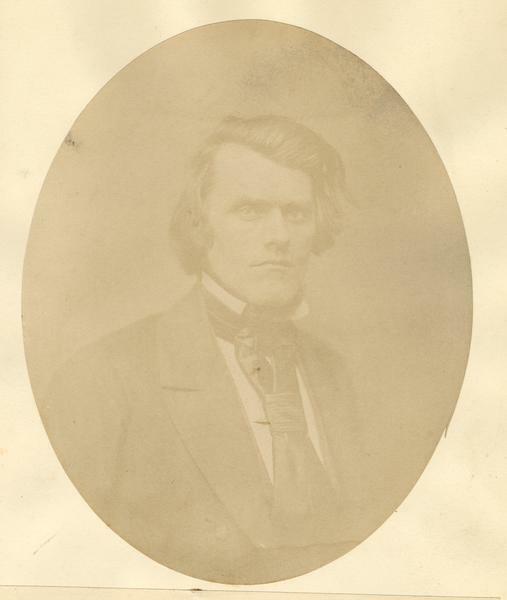 Quarter-length oval portrait of John T. Kingston. He was born in St. Clair County, Illinois, on January 31, 1819. Kingston settled in Racine on December 21, 1834. He served as a Republican member of the State Senate from 1857 to 1858, 1861 to 1862, and 1882 to 1883.